Bathroom spaces are largely looked upon as functional areas that have to be hygienically maintained and look pleasant. While these are important aspects, it’s probably even more important that the movement flow in the space be good and that all the fixtures and installations be planned well. This is why you need a bathroom designer. 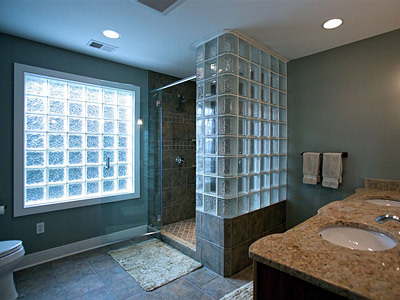 314 Design Studio provides excellent Bathroom Design services to customers across Annapolis, Severna Park, Stevensville and. They also cater to customers in and around Arnold, Chester, Cape St Claire and Kent Island. Over the years, they have handled a number of projects for customers in Centreville, Riva, Easton, Chestertown and Mayo. Regardless of whether you need to upgrade a few features in this space or want to get a complete bathroom remodel, they can help you with your requirement. They will have detailed discussions with you to understand what your specific requirements are. On approval of this quote, they will forward the plans and other details to their installation team. When it comes to bathroom remodel solutions, these companies can handle it all. They would be aware of different designs and themes including traditional baths, modern baths, luxury baths and rustic-style baths and more. Expert bathroom designers would be in-sync with all the latest bathroom designing trends and they ensure that they give form to your ideas. When you want bathroom spaces that will complement the look of the rest of your home, it’s best to hire experts like the ones at 314 Design Studio. They will provide you customized solutions at Bathroom Installation cost that fits perfectly into your budget.